View over the old village of Eygalières for this contemporary farmhouse of 345 m² comprising at the ground floor : a main contemporary farmhouse of 318 m² livable comprising a living room of 50 m² with chimney, a fully-equipped kitchen, a dining room, a storeroom, a 35 m2 master bedroom. At the first floor, 3 rooms with bathrooms as well as an office. In the basement : a billiard room, a wine cellar and a home cinema room. Outbuildings : a garage and an independent studio of 27m² which completes the living capacity. On the garden side : the veranda that opens onto the rose garden appreciable in all seasons and the beautiful south-facing terrace that enjoys the shade of a plane tree. The heated pool of beautiful dimensions is lined with a large terrace that leads to the pool house. Tennis court and petanque court. The landscaped park of 5.450m², planted with Mediterranean species, is watered thanks to a drill. 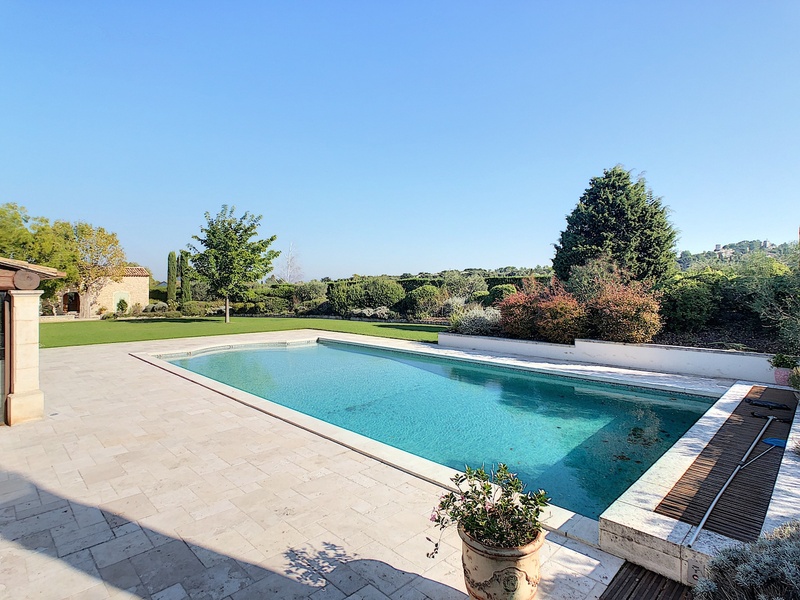 This contemporary farmhouse is located 5 minutes away from Eygalières' shops, about 25 minutes from Avignon and 50 minutes from Marseille-Provence international airport. Land 5.450 m², house 345 m², 11 rooms, 5 bedrooms, 5 bathrooms, garage, pool 14 m x 7 m.